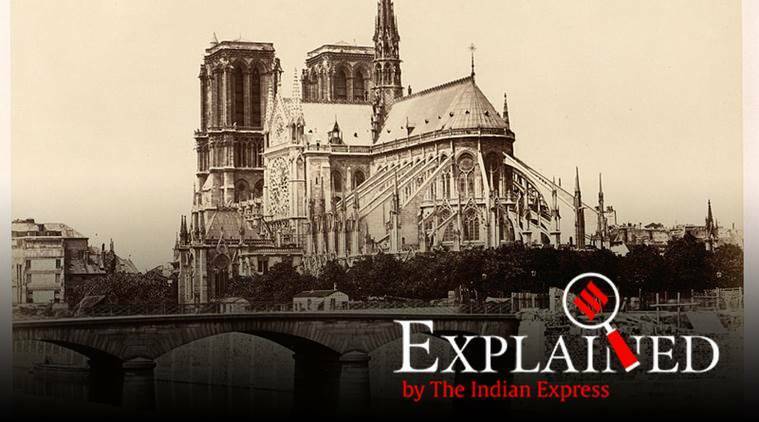 When French novelist Victor Hugo wrote his masterpiece titled ‘Notre-dame de Paris’ in 1831, the idea was to draw attention to the immense value of the most iconic piece of French architecture and the repeated rounds of destruction and neglect it had endured in its centuries of existence. “Beautiful as it has been preserved in growing old, it is difficult not to sigh, not to wax indignant, before the numberless degradations and mutilations which time and men have both caused the venerable monument to suffer,” he wrote. On Monday, when Notre-Dame, a historic 850-year-old monument, caught fire, the world was witness to yet another spell of momentous change. Though the cathedral was originally constructed in the 13th century, it underwent several modifications in the ensuing centuries. For that matter, the real significance of the Notre-Dame in France lies not in its size or architectural splendour, rather in it being a keen witness to eight centuries of tumultuous French history. “For 800 years, the history of France, brilliant and sombre, tumultuous and contemplative has unfolded in her shadow,” wrote the American translator and author Richard Winston in his book, ‘Notre-Dame: A History’. By the thirteenth century, Paris had grown to be one of the largest and most important cities in Europe. Art historian Caroline Bruzelius in her 1987 research paper, ‘The construction of Notre-Dame in Paris’ noted that the vast scale of the cathedral “reflects the dramatic growth of Paris in the twelfth century and the city’s emergence not only as the major commercial and intellectual center north of the Alps, but also as the chief residence and administrative center of the kings of France”. Located on the east end of Ile-de-la-Cite, the cathedral faced the royal palace across the island and shared a special relationship with the royal family. The city being jointly administered by the church and the king found its reflection in Notre-Dame becoming the hub of both religious and political significance. It is believed that the Notre-Dame is built at the site on which a Gallo-Roman temple dedicated to Jupiter stood before. After the inception of Christianity in France, four other churches are known to have been built successively at the same site, before the construction of the Notre-Dame in 1160 under the Bishop of Paris, Maurice de Sully. It was largely completed by 1260. 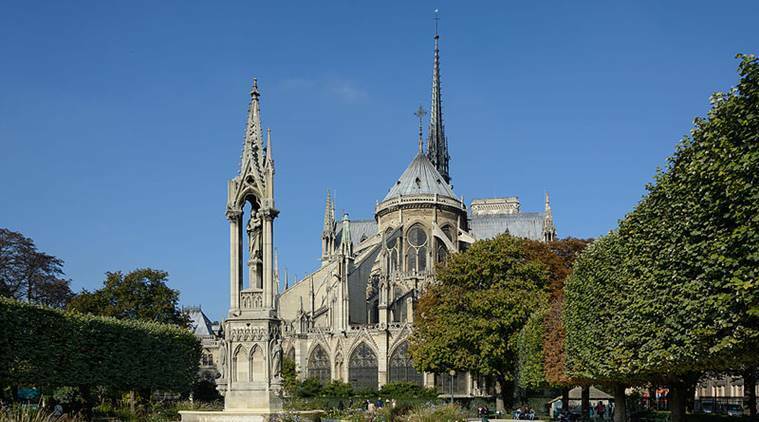 The Notre-Dame is also of huge significance in the art and architectural history of France. By the 12th century, Gothic architecture was already achieving dominance in France and the Notre-Dame continues to remain one of the finest examples of it. “Taller, longer, and wider than any Gothic church before it, Notre-Dame incorporated numerous technical and structural advances,” wrote Bruzelius. For instance, it was the earliest instance of gigantism which was to become characteristic of Gothic architecture in the following generation of cathedrals. However, the structure as it stands today was a product of centuries of additions and modifications reflective of the changes in artistic forms of the times as well as the socio-political mood of the hour. For instance, in the mid-13th century, the transepts were remodelled in accordance with the Rayonnant style of Gothic architecture which had become the fashion of the time. Further modifications were made in the 16th century aligning with the classical style of the period. An interesting addition of the 13th century were the flying buttresses which were replaced with stronger ones in the 14th century. The 16th century in Europe was marked by the Protestant reformation. During this period of challenge for the Catholic church, the Notre-Dame was attacked by a group of French Protestants known as Huguenots who demolished several statues inside the cathedral as means of protest against idolatry. In the early 1790s when the French revolution was causing large scale political upheavals in the country, the Notre-Dame was yet again affected by it. On the morning of November 10, 1793 it became the site of the ‘Festival of Liberty and Reason’. Several statues of Biblical kings were destroyed during this period and statue of Virgin Mary was replaced by the Goddess of Liberty in several altars. The cathedral was rededicated to the ‘Cult of reason’ during this time. 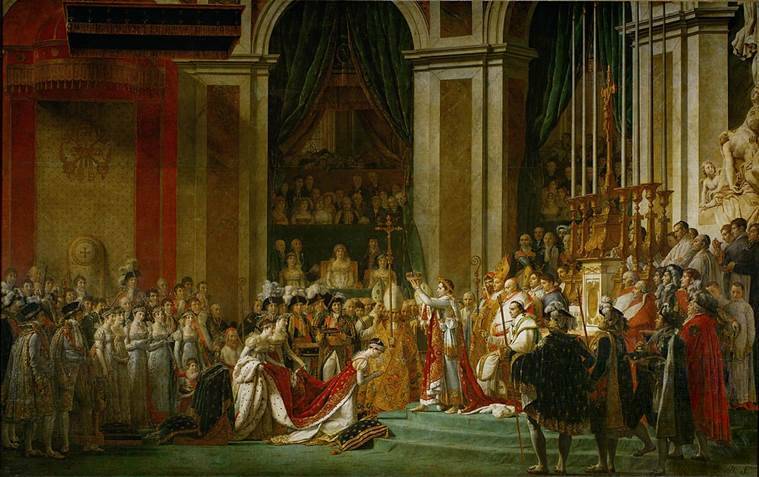 When Napolean Bonaparte became the new ruler of France in 1801, the Notre-Dame was chosen as the site of his coronation and he promised to restore it. It was also the site of Bonaparte’s marriage to Marie-Louise of Austria in 1810. During the Second World War the cathedral remained largely untouched apart from being hit by a few stray bullets. However, this momentous period of French history touched upon the cathedral yet again when the liberation of Paris in 1944 was celebrated within its premises. During the past few decades, this iconic witness of French history has been victim to air pollution, undergoing discolouring and erosion. While the cause of the fire on Monday is still being speculated, officials suspect that it could be the result of the ongoing renovation work. 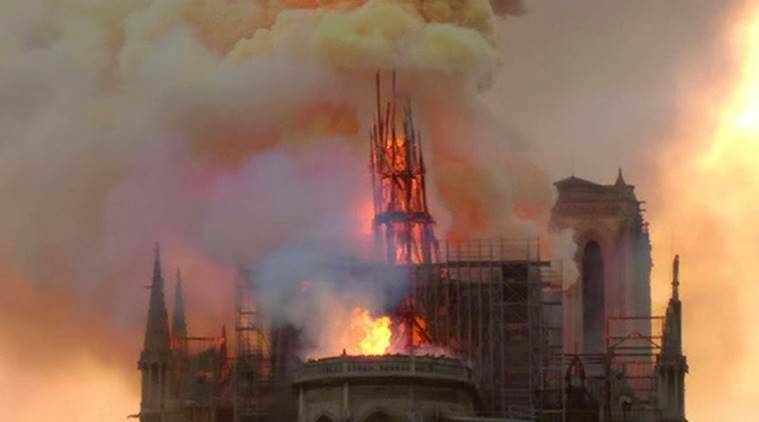 However, age, built and the lack of fire-protection system inside the 850-year-old cathedral are also being cited as reasons why the fire could not be controlled sooner.